Camden Yards Steel would like to thank all of the team members who attended the Clayton's Hope Step for Seizure's 5K walk. our team raised over $12,000 for a great cause. We sincerely thank you for this year’s success! Cold rolled steel is a carbon flat rolled steel product that is created by rolling a hot rolled steel coil between two rollers, thereby compressing the steel from its original thickness. Cold rolled steel is rolled below its re-crystallization temperature at room temperature. This cold rolling process increases the strength, ductility, and hardness of the steel. Camden Yards Steel stocks, processes and sources cold rolled steel in 14 GA, 16 GA, 18 GA, 20 GA, 22 GA and 24 GA in multiple widths and custom cut to lengths at ASTM A1008 CS Type B. Camden Yards Steel also stocks, process and distributes cold rolled steel blanks, cold rolled steel sheets, cold rolled steel coils, and cold rolled steel slit coils all over New England, the Mid Atlantic, the Southeast, the South and the Mid-West. For more information on cold rolled steel and Camden Yards Steel’s cold rolled steel products click on the link above to keep reading and learn more! Galvanized steel is a carbon steel product that is covered in a zinc coating in order to increase steel’s resistance to corrosion. The most common method of galvanizing steel is the hot dip galvanized process. Camden Yards Steel carries a wide variety of galvanized steel products including galvanized steel sheet, galvanized steel coil, and galvanized steel slit coil in G30, G40, G60, and G90 coating weights chem treat dry. Click on the title above to keep reading and learn more! Camden Yards Steel has announced the purchase of two new machines: a Red Bud Industries stretcher leveler and a Red Bud Industries precision multi blanking line. Both machines will be installed in Camden Yards Steel’s northern plant at 2500 Broadway Camden, NJ and will be operational by the end of 2018. Camden Yards Steel is proud to announce that it was recently featured in the Courier Post. We are proud of our heritage and that we continue to to provide and grow local, american steel manufacturing jobs in the carbon flat rolled steel market. Camden Yards Steel has a serious commitment to quality through continually improving systems and processes. 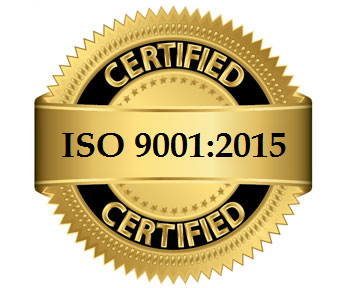 For that reason, we are proud to announce that Camden Yards Steel is now ISO 9001:2015 certified. Becoming certified allows us to improve upon our already excellent quality management and control system and better serve our customers. For more information, click on the link above to continue reading! What Is Diamond Plate / Floor Plate Steel? Diamond/floor plate steel sheet and plate is hot rolled carbon steel that has raised lugs in a diamond shaped pattern on surface. Since the introduction of floor plate to the steel market, countless mills have developed methods to roll coil with a variety of raised lug patterns. Diamond plate steel was originally created to meet the demands for new, safer steel products. Click on the link above to keep reading and learn more! The Section 232 launched by President Donald Trump's administration investigating how steel imports affect the national security of the United States represents a dramatic shift in trade policy from all previous US administrations. With the President tackling steel dumping from a national security standpoint rather than a traditional trade case one, the findings of this investigation could drastically affect down stream customers steel customers of all types when they come out. Whether or not hot rolled steel, cold rolled steel, galvanized steel, or diamond plate prices alter drasitcally remains to be seen. Click on the link above to keep reading and learn more. How Will the New Administration Affect the Long Term Domestic Flat Rolled Steel Market? The American populace witnessed significant debate on the domestic steel economy this Presidential election for this first time in many election cycles. While this focal point was welcomed by those in the industry stateside, many began to wonder exactly how each candidate would look at and shape trade policy and ultimately the steel market. What long term affect will the new Presidential administration and policies have on pricing in the flat rolled steel market!? Click on the link above to keep reading and learn more. Flat Rolled Steel Increases. Where Is The Market Going? Recent market and political developments have led to multiple price increases in flat rolled carbon steel over the past few weeks. Domestic mill prices on hot rolled carbon steel have increased by over 3.00 cwt alone over the past few weeks, leading to an uptick in orders and extending lead times to at least a month from previous lead times of at least two weeks. Where is the market going for the remainder of 2016 and Q1 of 2017? Click on the title above to keep reading and learn more! In the past month, flat rolled steel sheet and plate prices have surged higher than they have been in over a year. Manufacturing and steel distribution warehouse purchasers have been left wondering if prices will continue to increase; and, when the market will flat-line. It may be a ways off before we see a plateau in flat rolled steel sheet and steel plate prices; and, many experts believe that there may be more potential price hike increases as the steel market waits for scrap price announcements. Click on the title above to keep reading and learn more! In recent weeks at Camden Yards Steel, we have continued to keep tabs on market prices trending upwards in the hot rolled, cold rolled, and hot-dipped galvanized steel categories. It no longer seems to be a question of whether or not the market prices on hot rolled steel will increase. Instead, the question is how high prices will continue to climb before plateauing. While there are a few skeptics, industry experts believe we are a ways off from seeing a plateau because of several factors including increased lead times by mills, less mill capacity, low market inventories, and more difficult access to foreign material. Click on the title above to keep reading and learn more!